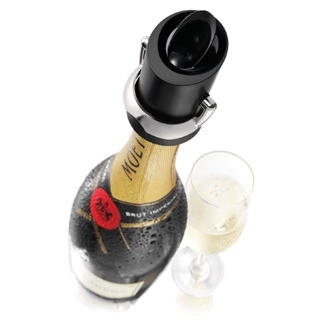 Put the handle in the upward position and place the Champagne Saver on top of the bottle. 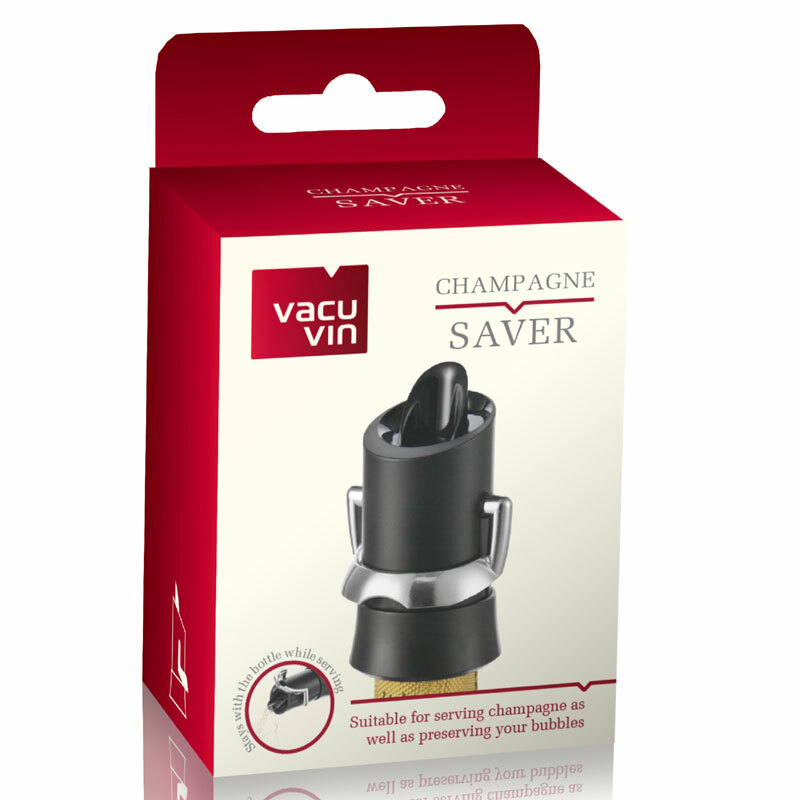 Lock the Champagne Saver onto the bottle by carefully pulling down the sleeve. When pouring Champagne the handle should be in an upward position. Close the Champagne Saver by moving down the handle. 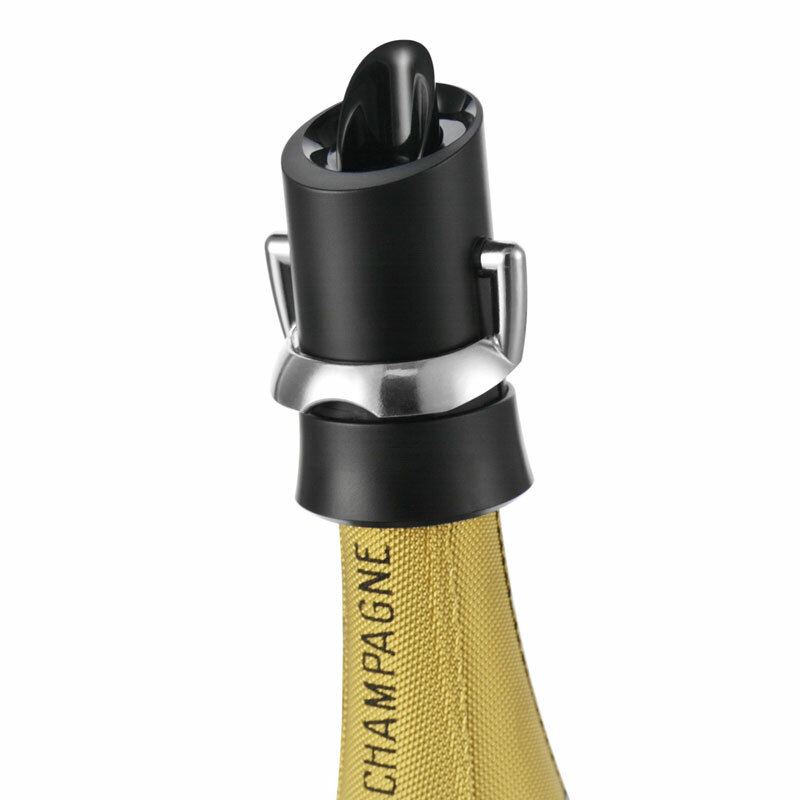 To unlock the Champagne Saver from the bottle carefully push the sleeve upward.